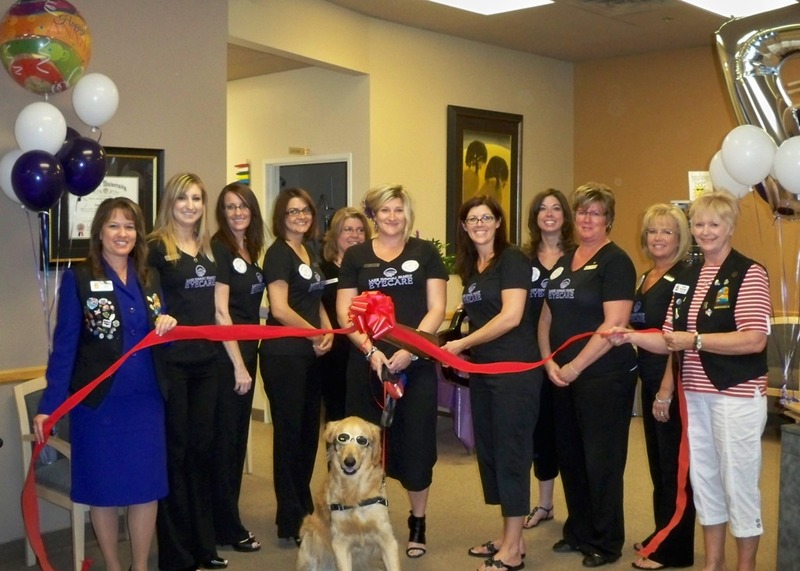 The Lake Havasu Area Chamber Ambassadors held a ribbon cutting for Lake Havasu Family Eye Care celebrating its 7th year anniversary. Lake Havasu Family Eye Care is located at 1990 McCulloch Blvd #101 and is dedicated to providing superior eye care to their community of patients. Attending the ribbon cutting from left to right is Amy Sugamele, Brittani Chapin, Tammy Lese, Julia Fernandes, Cindy Amero, Audra Taylor, Dr. Sobchuk, Christina Martinez, Kathy Richards, Karri Pederson and Kathy Ronnigen. Lake Havasu Family Eye Care would like to thank their patients, family and friends for the continued support of their practice. They will continue to be a leading team of professionals providing exceptional service. For more information or to schedule an appointment contact them at (928) 855-5026.